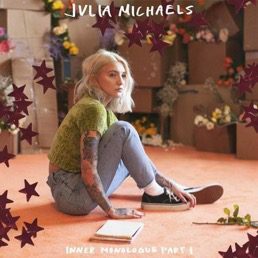 18 January, 2019 (TORONTO, ON) — GRAMMY® Award-nominated multiplatinum singer and songwriter JULIA MICHAELS has announced the release of INNER MONOLOGUE PART I. The anxiously awaited new collection of songs arrives at all digital service providers on January 25, 2019 via Republic Records and Universal Music Canada, the country’s leading music company. Additionally, she excitedly unveils the details for her first-ever headline tour across North America, THE INNER MONOLOGUE TOUR. It launches on March 4 at House of Blues in Lake Buena Vista, FL, rolls throughout the country, and concludes May 10 at House of Blues Cleveland in Cleveland, OH. 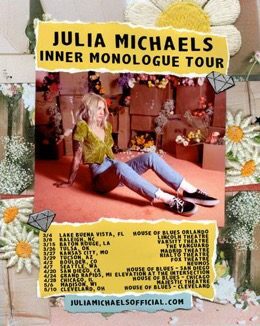 Tickets will be on sale January 23rd at 10am local time at http://www.juliamichaelsofficial.com/. This month, Michaels will tour with country superstar Keith Urban in Australia, before returning to join P!nk on the U.S. leg of The Beautiful Trauma World Tour beginning March 2019.